Weather nasty outside? No snow for a snowman? 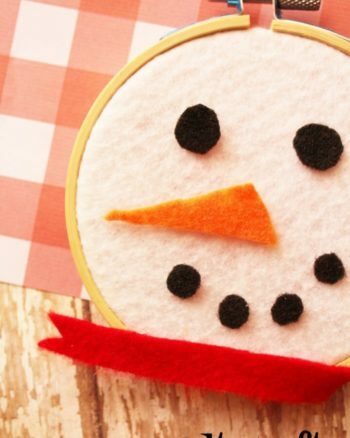 The kids will have fun dressing up this snowman in this Felt Snowman Craft for Kids. This craft will keep them busy. 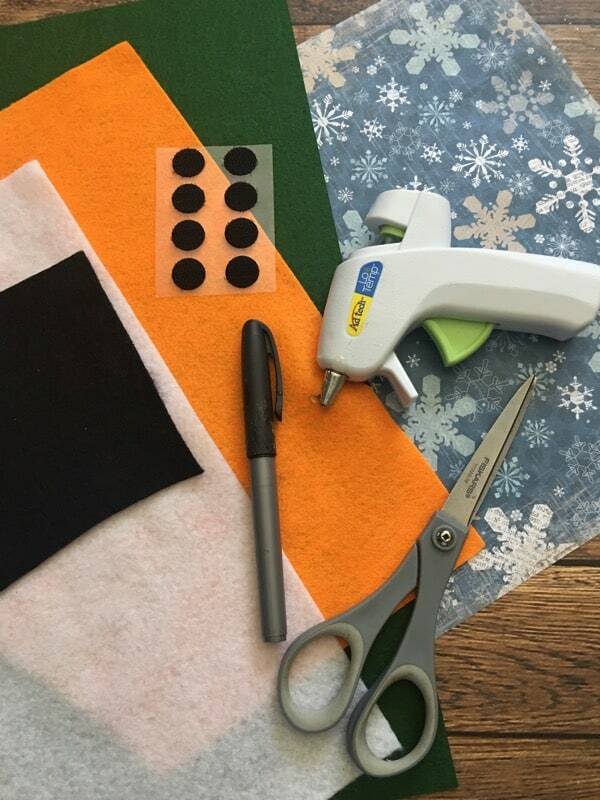 Have them help you cut out the shapes and then let them have fun dressing their felt snowman up. 7. 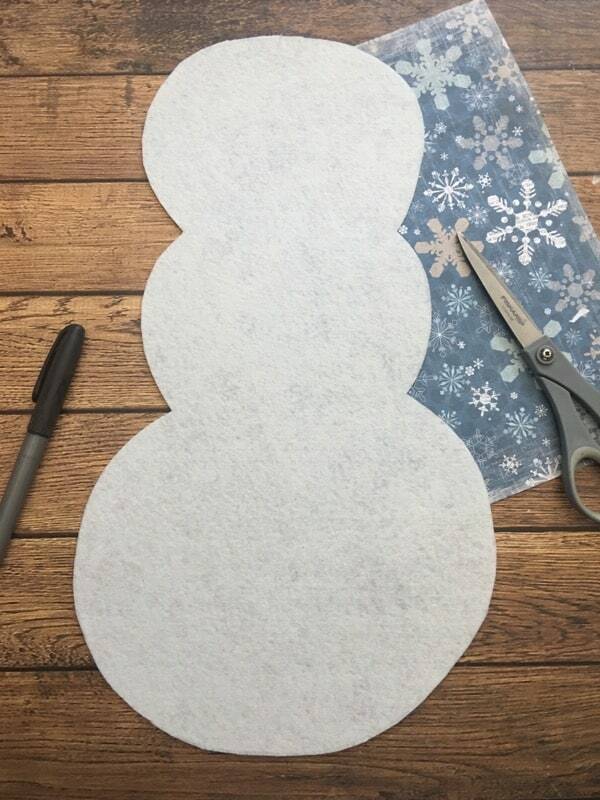 Now your kids can make their own snowman! 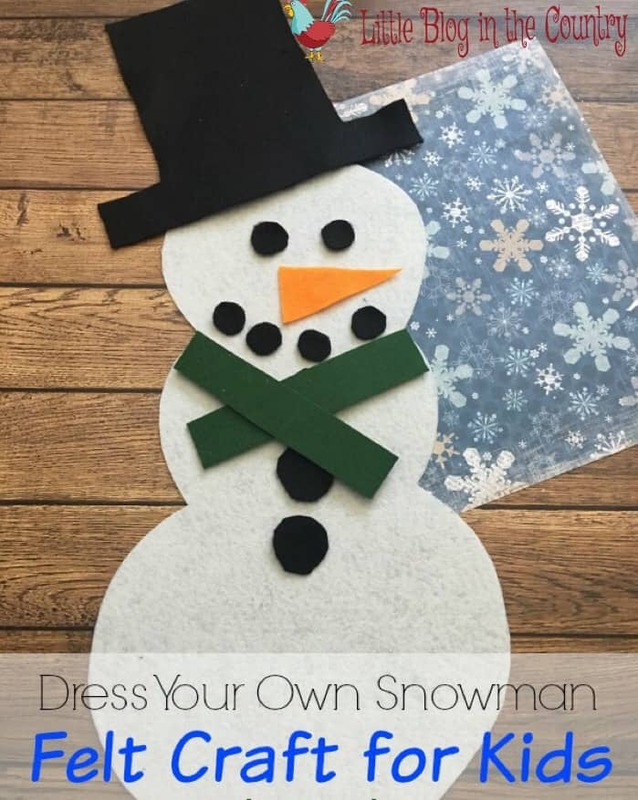 Now you have everything for your Felt Snowman Craft for Kids, if you wanna get really creative, cut out more pieces, different hats, noses, ect. 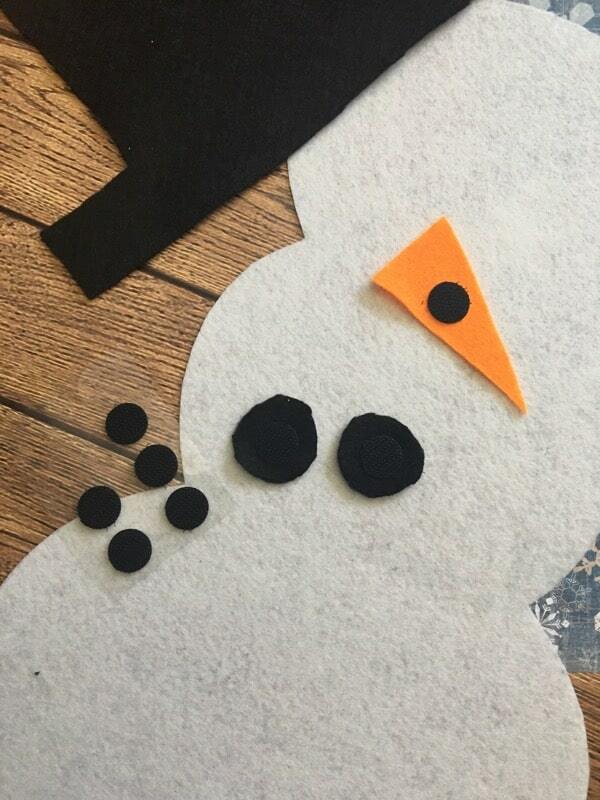 If you cut out more than one, kids can create a whole Snowman family. Dressing the snowman will work on fine motor skills. 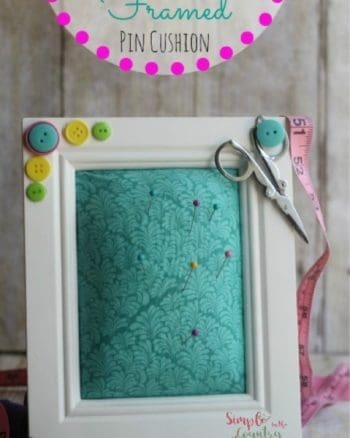 What an adorable idea for kids. Hi Stephanie! This is super cute 🙂 I bet my little cousin would have so much fun doing this. 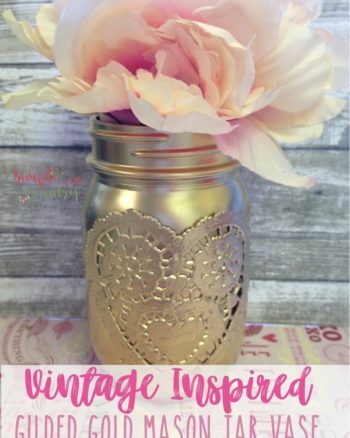 Thank you so much for sharing with us at Dishing It & Digging It!